Own one quarter of this lovely Harvest Dance condominium at Spring Creek Ranch. Fee-simple ownership. Enjoy 12 weeks per year in 2-week increments on a rotating calendar. 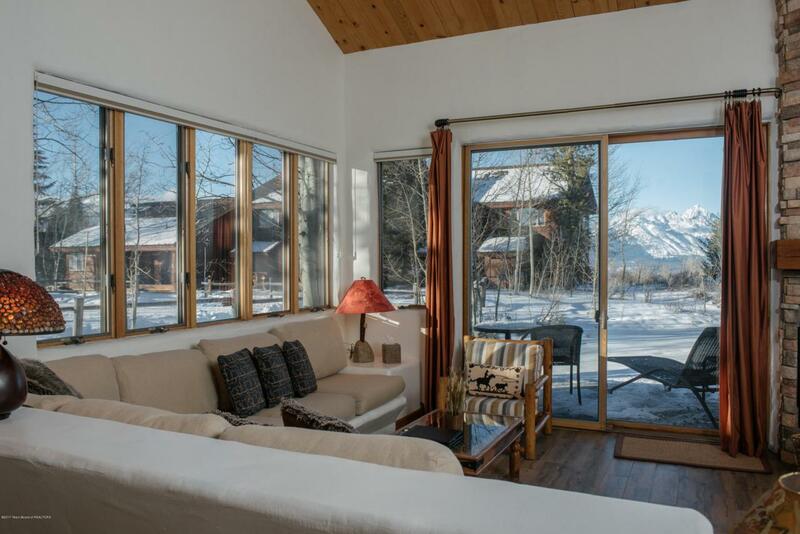 Located on a wildlife sanctuary almost 1,000 feet above the town of Jackson, this 2 bedroom 2 bath end unit condominium has the most spectacular views of the Teton Range from the master bedroom and living room. This unit has been recently upgraded with new flooring, stainless steel appliances, and kitchen and bathroom finishes including heated tile floors in both bathrooms and the entry hallway. Relax with easy access to on-site management, housekeeping, concierge, pool, spa, tennis, shuttle to airport, town and Teton Village and more. Turnkey with abundant lock-off storage. Listing provided courtesy of Margi Barrie of Prugh Real Estate Llc.